It is now more than fifty years since the first weather satellite, Tiros 1, was launched and today a whole fleet of weather satellites are in orbit above the Earth monitoring our weather and climate. 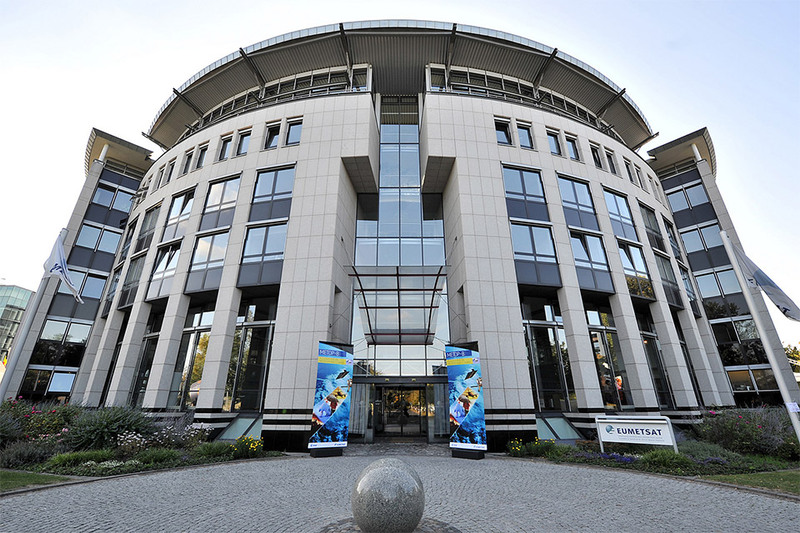 EUMETSAT currently operates seven weather satellites; Meteosat-8,-9, -10 and -11, Metop-A, -B and -C. The organisation also operates and delivers marine data from the Copernicus Sentinel-3 ocean monitoring satellites A and B and distributes data from the Jason-2 and -3 ocean satellites. Future satellite programmes include the next generations of Meteosat satellites - Meteosat Third Generation (from 2021) – and Metop satellites – Metop-SG (from 2021). 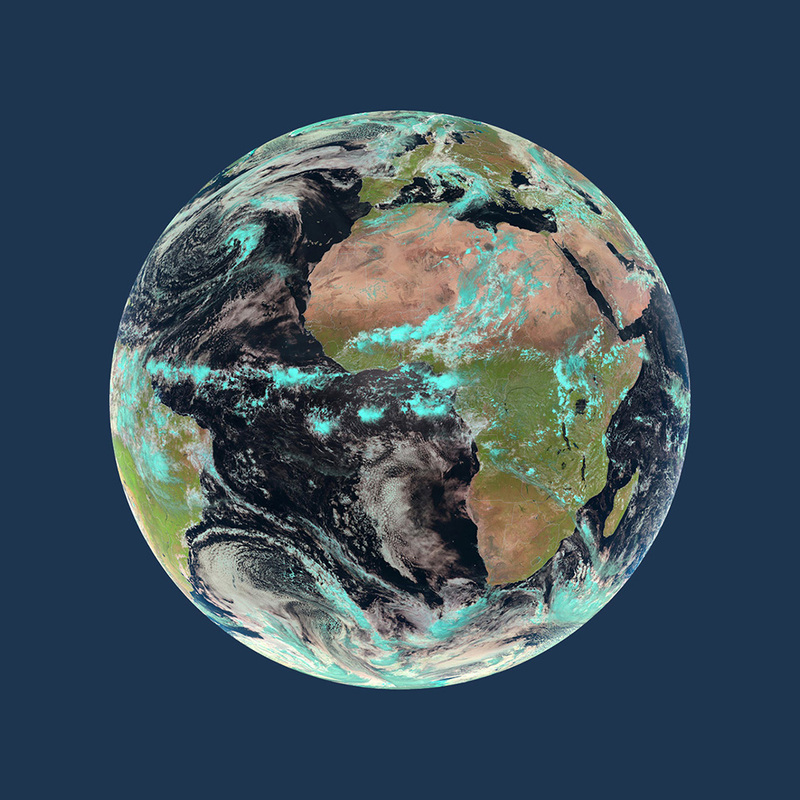 Meteosat weather satellites of the first and second generations have been delivering weather and climate data for Europe and beyond, from geostationary orbit 36,000km over the Earth's surface, since 1977. The data provided by Meteosat satellites are vital for daily weather forecasting, in particular for real-time monitoring of severe weather, such as storms/fog etc., as it develops. Meteosat-11 is the prime operational geostationary satellite, positioned at 0 degrees and providing full disc imagery every 15 minutes. Meteosat-10, launched in 2012, provides the Rapid Scanning Service (RSS), delivering more frequent images every five minutes over Europe, Africa and adjacent seas. 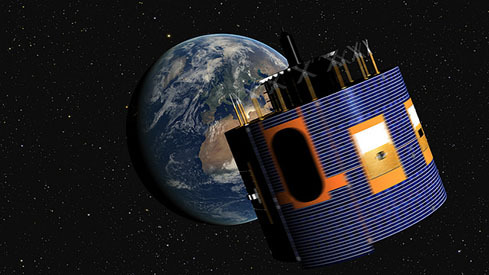 Meteosat-9, launched in 2005, serves as a backup to both spacecraft. 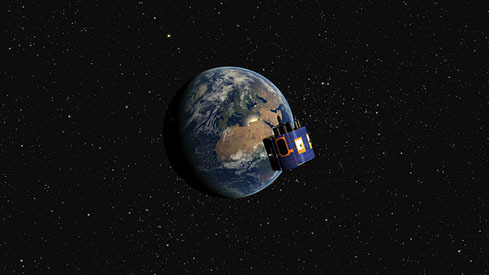 Meteosat-8, launched in 2002, operates over the Indian Ocean. Meteosat-8 data is used, in particular, to monitor tropical cyclones, dust storms and for weather forecasting. The on-board data collection system is also an important part of the Indian Ocean Tsunami Warning System. 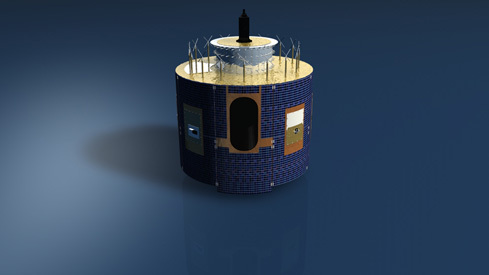 Click here to learn more about the Meteosat Second Generation. A satellite in geostationary orbit at 36,000km orbits the Earth at the same speed that the Earth turns, and so it remains over the same point on the Earth’s surface at all times. This means that the satellite can keep a constant watch over the area of the Earth in its view. Click here to see the latest view. The primary ground station receiving data from the Meteosat Second Generation satellites, e.g., Meteosat-11, is located in Fucino, Italy, and there is a backup station in Maspalomas, Gran Canaria. 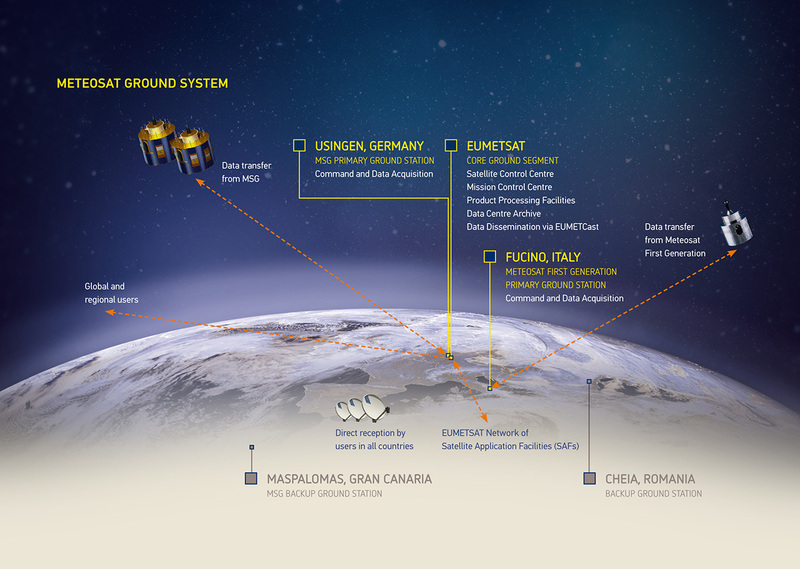 The ground stations are the main communication channel between the Meteosat satellites and the EUMETSAT Mission Control Centre in Darmstadt, Germany. The raw data are relayed via the ground station to the control centre for processing and then transmission on to users. 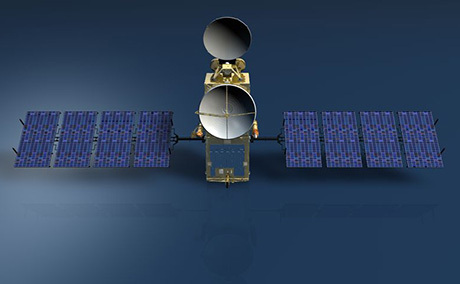 The Metop series of three polar-orbiting meteorological satellites collectively form the EUMETSAT Polar System (EPS). 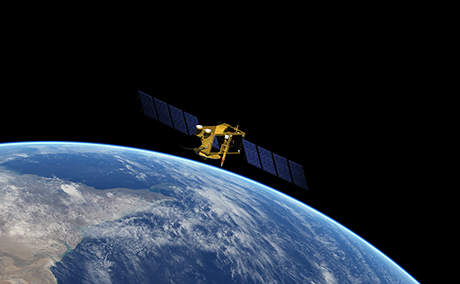 The satellites carry a payload of eight main instruments for observing the atmosphere, land and oceans. 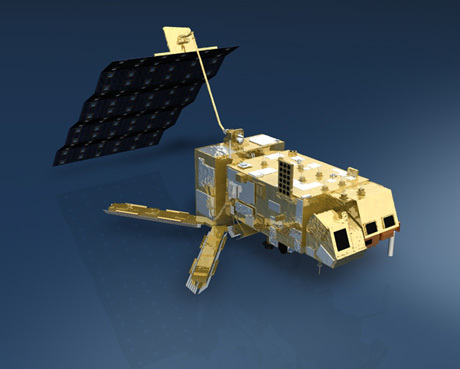 Metop-A was launched in 2006, and has the distinction of being Europe’s first polar-orbiting weather satellite. 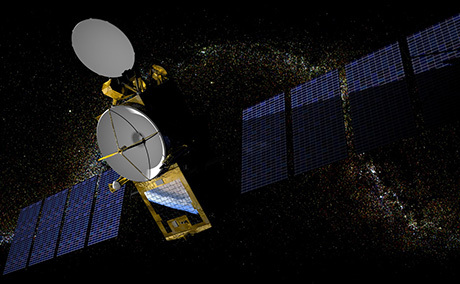 The next in the series, Metop-B, was launched in 2012 and took over from Metop-A as the prime satellite. 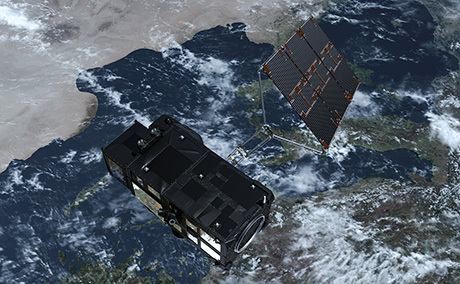 The two satellites will operate in parallel for as long as Metop continues to bring benefits to users. 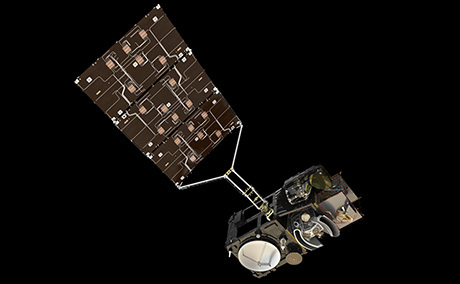 The last in the series, Metop-C, is planned for launch in 2018. The data provided by Metop satellites are essential for weather forecasting up to 10 days and for climate and environmental monitoring. 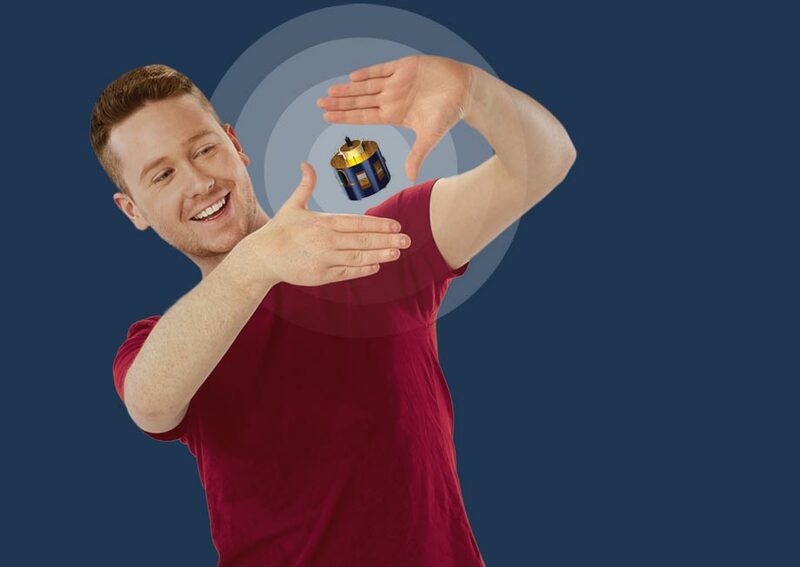 Click here to learn more about the EPS satellite programme. The Metop satellites are Europe’s contribution to the Initial Joint Polar System Agreement (IJPS), an agreement between EUMETSAT and NOAA. Metop flies in a Low Earth orbit corresponding to local 'morning' time, while the US is responsible for 'afternoon' coverage with its Suomi NPP satellite. The primary ground station receiving data from the Metop satellites is located on Svalbard in the Arctic Circle and data is also received at the US ground station on McMurdo, Antarctica. The ground stations are the main communication channel between the Metop satellites and the EUMETSAT Mission Control Centre in Darmstadt, Germany. 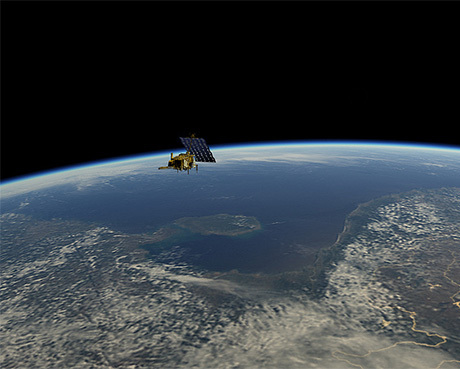 Jason-3 was launched on 17 January 2016 to continue the collection of sea surface height data from space, which began in 1992 with the launch of the Topex-Poseidon satellite. The satellite orbits the Earth at an altitude of 1336km and its accurate observations of variations in sea surface height provide scientists with information about the speed and direction of ocean currents and heat stored in the ocean. This information, in turn, reveals global climate variations. These measurements are continuously calibrated against a network of tide gauges. When seasonal and other variations are subtracted, they allow estimation of the global mean sea level. 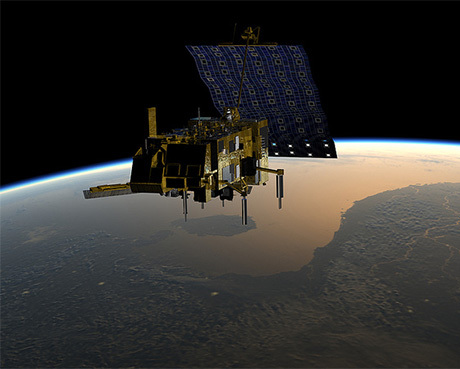 As well as measuring sea surface height, the Jason-3 satellite also provides data on global wave height and wind speed. Using data from several satellite altimeters, a finer picture of the ever-changing height of the oceans is revealed. Swirling currents called eddies pepper the global ocean. Like small pockmarks in sea surface height, these eddies are found in every major ocean basin. 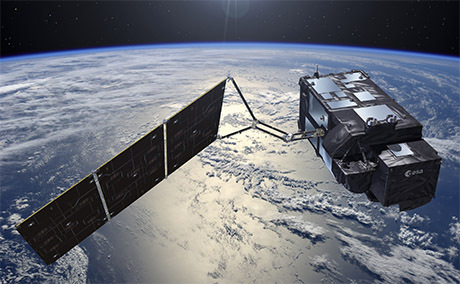 The Copernicus Sentinel-3 satellites monitor the oceans, land, ice and atmosphere and provide critical information for ocean and weather forecasting. 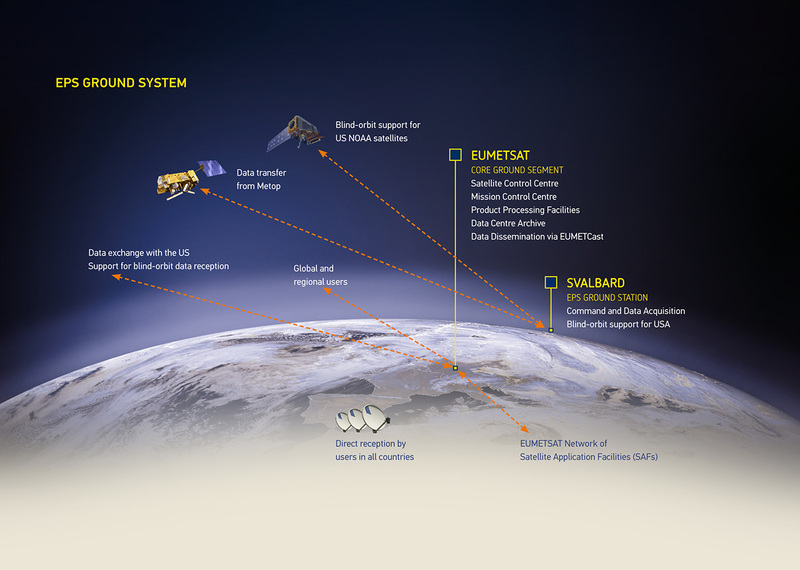 EUMETSAT operates the satellites, with the support of ESA, and delivers the marine data while ESA delivers the land data. After a satellite is launched, the success of a mission depends on being able to track its progress, receive data, and issue commands. 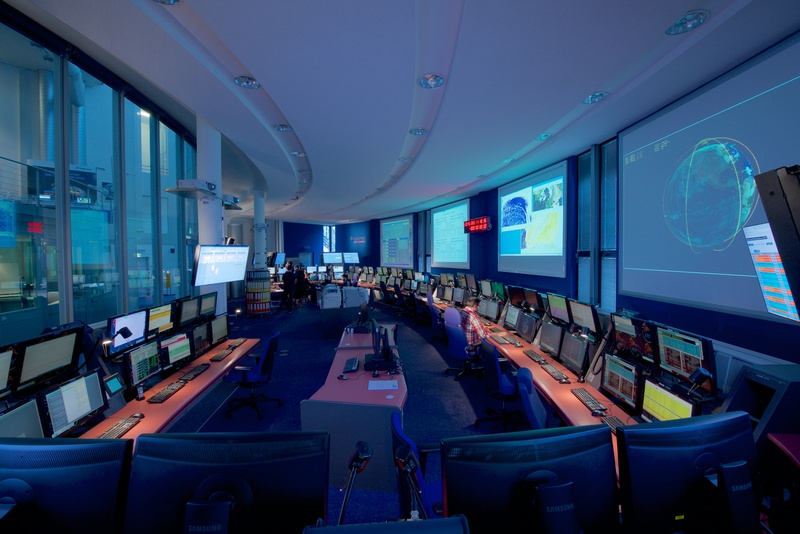 The EUMETSAT Mission Control Centre is linked to a network of primary and backup ground stations, located all over Europe. 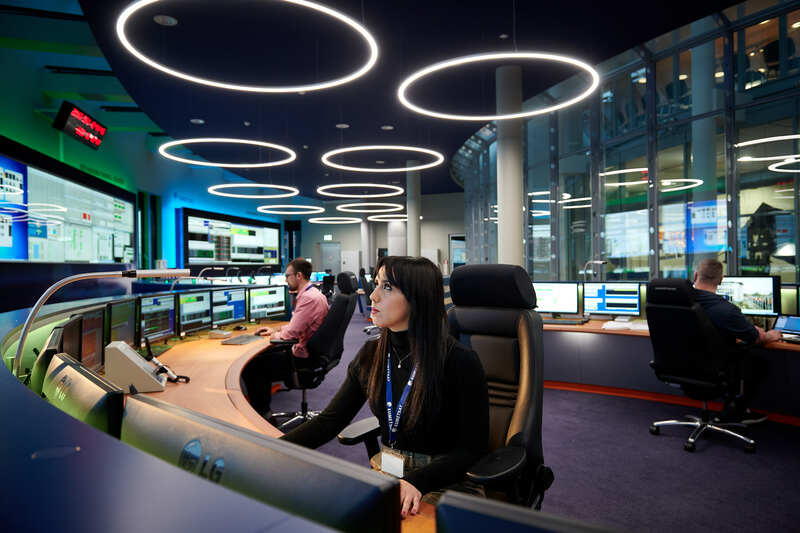 With two control rooms, one for the geostationary missions and the other for the low Earth orbit missions, the Mission Control Centre provides the necessary support for the safe operation of all of our satellites. Teams of satellite and ground segment controllers work in these ground stations around the clock – 24-hours a day, seven-days a week – supported by on call operators and maintenance engineers. Mission controllers have everything they need to monitor all aspects of flight control, satellite operations and communications. Once a satellite is in orbit, for example, the control centre has to track and control the satellite. This includes sending commands to change the spacecraft’s altitude or orbit, and keeping a close watch to see that it is working properly. They also monitor the on-board instruments and send new instructions when necessary. Spacecraft commanding is highly automated. Each satellite system uses a mission planning system, in conjunction with a flight dynamics system, to produce a weekly automated schedule. This schedule is used to send automated procedures to both the spacecraft and the ground facilities. Verification of successful completion of the procedures comes back to the monitoring and control system in the spacecraft and ground facility telemetry. The health of the spacecraft is also monitored by the same system. Download and make your own Meteosat or Metop satellite out of paper. Perfect for displaying on your desk or bookshelf!